2.When properly installed,the flexible fingers keep the workpiece pressed tightly against the router tabletop or router fence throughout the routing operation. 3. 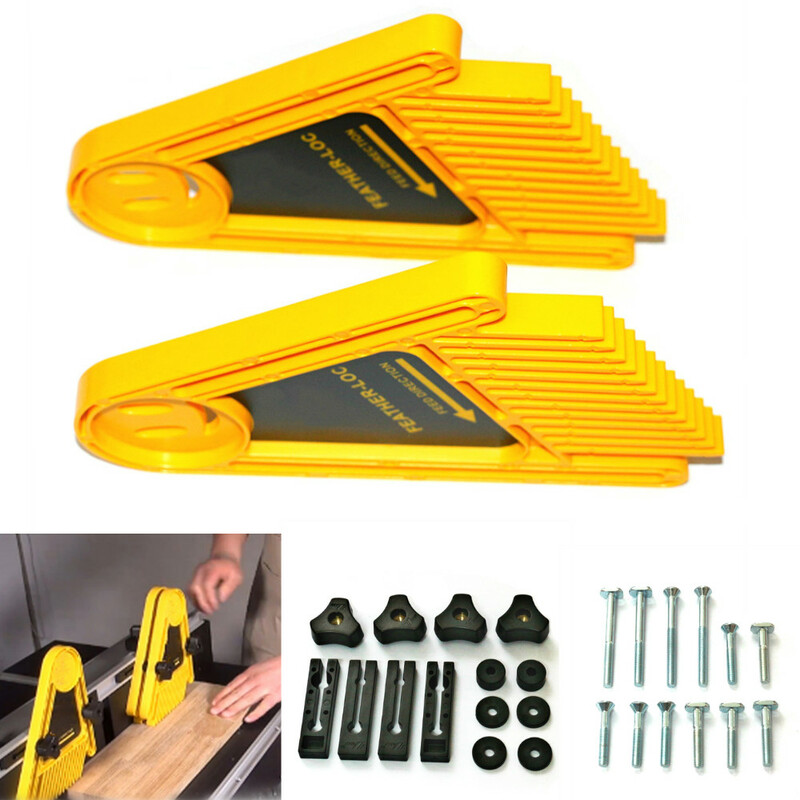 Featherboard are made from a high-tech polymer and each one has 13 angled fingers that apply steady pressure consistently produces cleaner cuts with less chance of kickback, chattering or lifting. 4. Featherboard slide into miter-gauge slots in the router table or fence, and are locked in place by tightening a pair of knobs. 5.Note it can also be used on a table saw, shaper,bandsaw or any other woodworking machine with a miter gauge slot.